View the threads bunkhouseman has started. Leave feedback for bunkhouseman or read feedback left by other members. View the member feedback bunkhouseman has written of others. 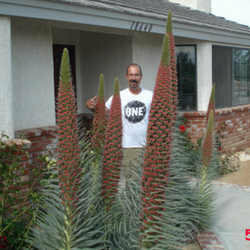 "bunkhouseman showing off his "Tower of Jewels" (Echium Wildpretti)"